We’ve recently launched our guest blogging link building service after getting a little bit more in our groove. While we’ve always incorporated the tactic into our campaigns, there’s now enough to go on to create a campaign based on just straight guest blogging. Keep in mind we don’t recommend guest blogging as your sole link building strategy, but it definitely is in heavy rotation for our established clients and in heavy demand for our potential clients. If you’re in a competitive niche then guest blogging can be a huge help in ranking for those hard to rank keywords. It’s also a great way to splash in targeted anchor text links(don’t over do it) that are in content – my favorite! Like I mentioned, there is a lot of work involved in guest blogging, especially if you’re doing it right. There are so many things we factor in to ensure that the utmost quality is being applied to every guest blogging venture. So that means not only finding great blogs to get involved with, it means taking the time to create awesome content. A lot of the guest blogging taking place these days is really on the junk end of things. I want to steer clear of that and make sure it doesn’t become a baron wasteland like article marketing has become. The cliché is a cliché because it’s true. The quality of the content should always be paramount. I’ll be covering not only a variety of ways to land guest blogging gigs, but also which content is going to fair well on which blogs. Keep in mind that if you score a really influential blog, you best not be bringing boring content to the table. A really great piece of content on the right blog can produce some serious link juice, and a lot of that is going to funnel your way! On the other hand, a fluff piece will establish you as somebody who writes fluff pieces with everybody who reads the article. There are hundreds of guest blogging opportunities just waiting for your touch out there so pay attention and learn something new. We’ll start with the easy bit first because there are a few guest blogging services out there that can make life a little easier. If I could give any advice/wisdom about this form of discovery, it would be to be very careful. With ease comes great lack of quality in a lot of cases, and you have to keep a sharp eye to get your work in the best spots. I tend to notice a lot of the blogs have too lax of a policy and a lot of garbage content is spewed out. Lazy webmasters are too easily swayed by free content, even if it is sub par. MyBlogGuest.com – This is by far the best option for quick and good access to a bunch of different types of blogs. While there are still a lot of low quality blogs I wouldn’t touch with a 10 foot pole, the good outweighs the bad for sure. It’s a great community as well and it makes the whole process a lot more easy to handle. A pro account is $20 and simply requires that you submit articles into a pool; it is honestly the easiest way to get content published on blogs that you don’t run. The free accounts don’t let you release articles into the pool, but making connections with other members is still a very good way to get your content published. Guest Blogging Network – I’ll be honest and say I had never heard of or seen this service prior to writing this post. It looks like they connect you with writers when they have a match in their network. Sadly, I wish I could say more but you’ll just have to check it out yourself and see if anything good comes of it. We’ll be doing the same in the coming months. Web Traffic Control – This is another guest blogging network that connects writers and webmasters for guest blogging ease. It’s also a service we’ve never tried so if you have, let us all know in the comments below! I’ll be signing up today and Geoff is going to let me know whether it’s worth your time. He’s currently doing a big guest blogging campaign for a client so he was pleased to find this out. Linknami Guest Blog Network – Linknami has an extensive guest blogging network that you can join for free! We’ve been checking it out for a while now and, while there are quite a few low quality blogs involved, there are some gems worth sniffing out for serious topical links. It’s growing rapidly as well so I’d definitely recommend checking out Linknami. BlogSynergy.com – Believe it or not, this is yet another service that helps connect writers and blog owners to get their guest posting on! (I told you guest blogging was popular). I’ve yet to use this service as well, so once again I’m sorry for the lack of hard data here. You can however go check out some of the sites in the network to get an idea of what’s there. As usual, a lot of lower quality blogs where owners just want content to be wrapped with their Adsense. The Guest Blogger @ LinkedIn – This is a private LinkedIn group that I’d recommend joining for the networking. There are just about 500 group members and the ratio of bloggers to webmasters is pretty good. Like the other sources though, there is still a good deal of junk in there so I’d only expect to find a few gems! This is by far the best method for a multitude of reasons. Going after blogs that don’t usually allow guest bloggers is always going to be the better link. I like to target the biggest blogs in the target vertical first, for not only the link, but for the branding and social media push. 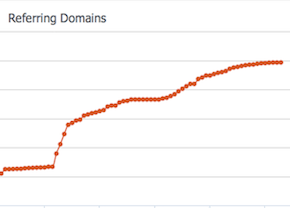 Riding off the coat tails of the established site is really going to give your content a huge push. That’s a nice set of extra features and will save you some time. Like any good link building, this is all about building relationships with those influential people in your industry. I’m going to have to beat that into a lot of people’s brains, so I apologize if you’re getting sick of hearing it. These relationships will net the best links and make it really hard for your competition to keep up. While they’re doing the usual lame link building, you’re out there building your brand, which will last for years to come… not just the next 6 months. Twitter – I will state time and time again, Twitter is a great tool for building relationships that lead to links. All you can do here is reTweet your targets content, talk with them and get on their radar. If you email them later about writing for his/her blog, you can mention your past interaction: “hey, it’s so-and-so from Twitter”. I find that doing something for them before asking anything of them is a good strategy. If you notice anything that might make them more money or save them time, drop them a hint. Why would you waste your and the webmaster’s time with boring old content? So you land a writing chance on the biggest blog in your vertical, what kind of content are you thinking about? It better be viral/link bait in nature or I’m going to come down to your office and smack you good and hard! Since this blog is going to have an amazing reach to just about every corner of your niche, you’ll want to make sure your content gets that full potential. Infographics – Put yourself in the blog owner’s shoes. If you got offered a custom infographic for your blog would you turn it down? I think not! This is a sure fire way of not only score a link from their blog, but the viral nature of the post should fire a lot of link juice you way. Not only that, you’ll get some much needed brand recognition. If you provide an embed code, make sure to include a link first to the host blog and a provided by link to yours and score some extra link action (booyah)! The Ever So Popular List – Lists have always done well and they’re not quite done yet. Just take a look around your niche to see what’s popped on other social media sites and start gathering ideas. Obviously you cannot just copy another idea, so see where there’s a gap and start writing away. Picture and video lists really do well and they’re entertaining enough for the low attention span generation that we all know and love. Cover An Event Or News – There’s always something going on in an industry so take note and see what’s doable. We’ve helped clients cover a conference and write about it for an industry blog which lead to a lot of positive results. Hot news can also be a “Godsend” if you can play down an angle and get people talking. The more controversial the subject the better! Do Whatever…. – Everyone else is NOT doing! Amazing content that stands out from the norm is the best advice I can give. Research, research, research! There’s so much rehashed content being covered in every industry that it’s getting quite ridiculous(just look at 90% of the SEO blogs out there). There are a ton of guest blogging resources out there so I of course want to hear what you got in our comments. I’ve rounded up some of the posts I’ve bookmarked over the years, so hopefully you find a bunch of useful tips and tricks, so get guest blogging! We all have been seeing more and more guest blog posting happening in the blogosphere, especially within the SEO/SEM industry. 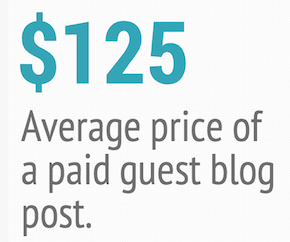 I’ve been asked to write a few guest blog posts and it got me thinking…how can I get more? Guest blog posts are great because it provides a fresh style of content on the users blog, as well it allows you to get links within content you don’t have to pay for..so no google slap. There are a few ways to go about finding blogs to guest post on so lets take a look at a few, and hopefully it will get you thinking about how to find new ways. First up is the most obvious and that is to make a list of all the respected blogs within your niche and personally contact them by phone or email. 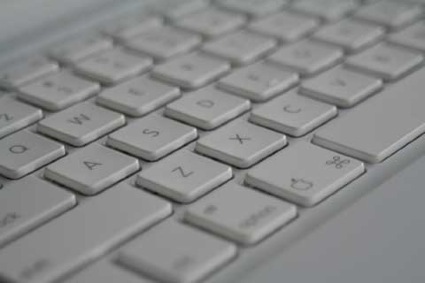 If you were to get a request from another blogger to write on your site, how would you feel? Personally I’d welcome it because it never hurts to have someone do your work for you. You could spend that day off building links or working on that other slacked on project that’s collecting dust. Even though you’re allowing someone else to input links back to their site, at least it’s within your niche which won’t hurt you as much if they were writing about something off topic. I also like to think the person writing the guest post is going to bring something interesting to the table, so you could potentially have some content that will go viral. Secondly we can use good old Google to rely on to find us some great blogs to apply to. I’m sure most of my readers here are familiar with Google commands and can hack their way around with little or no problems. This opens up a whole bunch of possibilites in finding blogs to post on, it is as easy as just searching for things like “write a guest blog post” or “guest blogger“. You can even get more specific by using Google’s inrul command to try and narrow it down by niche. Even though this method is still not that popular, you should be able to find a few places to write for within your niche. Lastly I’ve setup a section for exchanging blog posts on the Link Building Forums which has yet to take off so sign up! I’m hoping to make it the place that bloggers can use to find all sorts of blogs to exchange with. Places like Bumpzee and BlogCatalog are also great places to find bloggers within your niche who are always up for guest blogging. I’ve found a majority of my guest bloggers on Bumpzee mainly because people are hungry to write. After I’ve posted about it on those two sites I’ve received numorous requests from other bloggers who’ve written a bunch of my conent for free!